Despite constant political trouble, Serbia has made steady progress with regard to children’s healthcare and education. However, poverty, social exclusion and discrimination remain serious problems. In response, the Serbian government has set up a national child-protection system. Owing to the worldwide economic crisis, but also to societal transition, the poverty rate in Serbia is rising. More than 150,000 children live below the poverty-line. 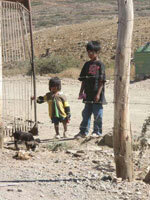 Children living in rural areas, notably those of Romani descent, are the most affected. Many Serbian children are abused, neglected, indeed exploited. However, no statistical data is available on the subject. Furthermore, no mechanism for processing official complaints has been set up by the government. 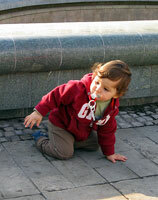 In Serbia, the mortality rate of children under the age of 5 is relatively low: 7%. However, the infant mortality rate among the Romani is more than 20%. Disparities in healthcare thus exist within the country. Despite improvements in the healthcare system, Serbia is confronted by a lack of financial resources. This engenders, on the one hand, difficulties in the maintenance of hospital services, and, on the other hand, a lack of motivation among employees. A large percentage of Serbian youth are afflicted with AIDS; it is often the case that, prior to the final stages of their illness, little attention is paid to them. Furthermore, the government provides little or no information concerning the contamination process and effective means of contraception. Although Serbian law guarantees to all children the right to live free of discrimination, certain youth in rural areas and less developed regions, are treated unfairly. Even today, handicapped children are treated differently from other children. They are separated from their families and placed in institutions. Often, they do not receive the specialized care they need, nor do they have easy access to the country’s educational system. In addition, they are frequently abandoned by their families and subjected to abuse and other forms of violence. The Romani and their children are likewise subjected to various forms of discrimination that limit their access to healthcare, education, shelter, etc. They are often abused, brutalized and insulted by the police and other members of Serbian society. They are frequently denied medical treatment by doctors. Hence, their health problems, often arising from filthy housing conditions, remain unchanged. 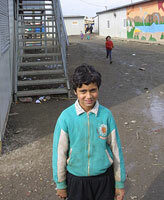 The Serbian government has set up a program designed to protect Romani children and improve their overall situation. In certain communities, notably those of the Romani in Serbia’s southern and eastern regions, child marriage still exists. In effect, it happens that young people between the age of 14 and 18 get married. In recent years, the number of Romani child marriages has decreased, while Serbian child marriages have grown. The births of Romani children are not always reported to the Serbian authorities. Children who lack birth certificates lack legal identities. Consequently, they are not recognized as legitimate members of society and are unable to enjoy their rights, since technically they do not exist. Children who are not officially registered are vulnerable to all sorts of abuse and unsavory practices—such as, for instance, forced labor, prostitution, underage marriage, trafficking, slavery, etc. Following the conflicts of the 1990s, Serbia has provided shelter for displaced and refugee populations (Kosovo, Croatia, Bosnian-Herzegovinian, etc.). Generally, families and their children live in community shelters that have been placed at their disposal. However, these temporary lodgings often lack plumbing and electricity and are in bad condition. Hence, the right to such things as healthcare and adequate lodging remains frustrated in certain Serbian regions. Serbian children who find themselves in conflict with the law are often victims. In effect, they become delinquents on account of financial and family difficulties (abuse, neglect, etc.). Instead of obtaining help, such youth are often excluded and turn toward delinquency. The Serbian system of juvenile justice has a habit of ignoring directives and recommendations from the UN, and faces problems that are far from insignificant. Nevertheless, the Serbian state, in partnership with international organizations, has set up a program aimed at reforming the system and ensuring that the rights of children who find themselves in conflict with the law are respected.